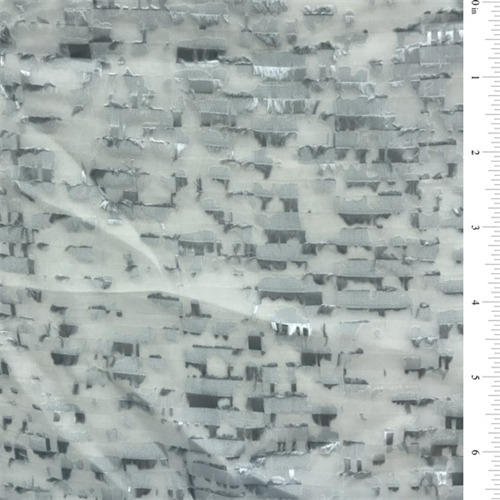 Very lightweight (2.4 oz sq/yd) polyester and rayon blend chiffon. Tone on tone satin embroidery with eyelash thread accents. Soft, flowing drape. Suitable for blouses, dresses, special occasion apparel and overlays. Sheer, use a lining or underlay when opacity is desired. Hand wash cold or dry clean.